Here's where to watch every episode of The Dumping Ground season 4. Mouseover or tap an episode to see where to stream it. Click or tap the play icon to stream it on the best available service. Lost and Found Jan 30, 2016 Bailey's world is rocked when his mum turns up at Ashdene Ridge. Can he forgive her for abandoning her as a toddler? Bear-Faced Liar Feb 6, 2016 Bailey has to break some bad news to his mum - but what is she hiding from him? And what has it got to do with the play the young people are staging? Stepping Up Feb 5, 2016 Sparks fly when Tee recruits Jody to help her and Carmen win a street dance competition. But who's more out of their depth - Carmen, or Jody? They Walk Among Us Feb 12, 2016 Mo's convinced that there are aliens in the neighbourhood - and when he finds a prime suspect, he's determined to prove his sceptical friends wrong. Hold the Front Page Feb 19, 2016 There is a shock in store for Ryan when his sister Chloe comes to the Dumping Ground. They share a traumatic secret in their past. Growing Pains Feb 26, 2016 Tee gets a taste of what life outside care might be like when she goes for her first college interview, but her day does not go according to plan. Submarine Mar 4, 2016 Unsure of where she fits in, Sasha is glad when an old friend seems to show an interest in her. But does he really have her best interests at heart? First past the post Mar 11, 2016 Election fever strikes the Dumping Ground as Tyler and Floss battle it out over a place on a forum for children in care. Survivors Mar 18, 2016 Everyone's missing Mike, so Kazima suggests a trip out to raise the young people's spirits - but can she save the day when they get lost in the countryside? The End of it All Mar 25, 2016 With the clock ticking, Ryan pursues a high-risk strategy to get Mike reinstated at Ashdene Ridge. But can he pull off his master plan? Perfect Match Sep 30, 2016 Upset by a surprise her mum springs on her, Sasha asks to be put up for fostering - but she's shocked when she learns a couple want to adopt her. Are they the fit she's hoping for? Doris Oct 7, 2016 Series 4: 12. Doris When Carmen opens a makeshift salon in the Dumping Ground garage, she gets Doris, a sharp-tongued pensioner, as her first customer. Carmen warms to Doris as she learns more about her - but then she learns Doris needs her help in a way she hadn't expected. Risky Business Oct 14, 2016 Bailey's dreaming big with his pet care business, and when he joins forces with a friendly rival in a Young Entrepreneur competition, he thinks his chances of success will increase. But business and pleasure don't necessarily mix. Troll Oct 21, 2016 Fearing she is being overlooked, Floss comes up with an idea that will put her centre stage. But is she so desperate for the limelight that she will forget who her friends are? It Takes Two Oct 28, 2016 New boy Sammy starts to get on people's nerves, and Tyler steps in to defend him. Grateful Sammy is determined to impress his new friend. Getting To Know You Nov 4, 2016 Tyler is delighted at the prospect of a new future with his mum - but, after years apart, they soon find out they have a lot to learn about one another. Two Camps Nov 11, 2016 The DG residents are excited about the prospect of going camping, so why is Ryan so anxious to sabotage it? Chloe stands by her brother, but soon discovers that she and Ryan have quite different ideas about loyalty. How to be Perfect Nov 18, 2016 When Kazima starts behaving strangely, her friends don't understand what's got into her. 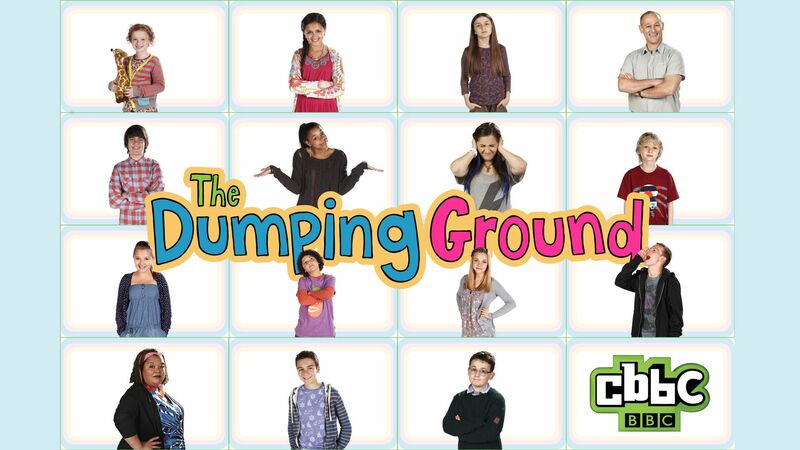 Then the truth emerges, the Dumping Ground descends into chaos and Kazima's left with a tough decision to make. One for Sorrow Nov 25, 2016 Things start disappearing on Carmen and Tee's last day at the Dumping Ground. Some of the residents decide to track down the thief - but they're not the ones who catch them. Two for Joy Dec 2, 2016 Jody finds out that following your heart can lead to danger - will her friends be able to save her? Meanwhile, Ryan confesses his darkest secret.